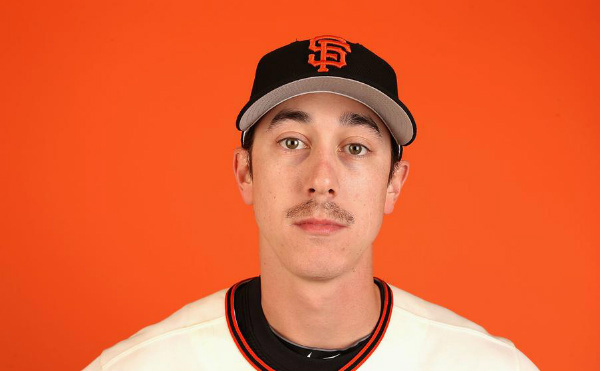 Tim Lincecum, who I think looks like Ms. Gultch from The Wizard of Oz, grew a mustache for the San Francisco Giants photo day. It was a good effort, but it ended up looking like he forgot to wipe the Oreo crumbs from his upper lip. This entry was posted in Sports Steesh and tagged Baseball, entertainment, Giants, Humor, Moustache, moustaches, mustache, mustaches, San Francisco, San Francisco Giants, sports, Tim Lincecum, Wizard of Oz on March 6, 2014 by Los Bulls.